An increasing number of people from the Army, Navy and Air Force are opting for early retirement to go to management schools and carve out a second career for themselves. Neelima Karath, 28, left the Indian Army in March 2013, after serving for six years as a Short Service Commission (SSC) officer. She joined the Armed Forces Programme (AFP) - a Ministry of Defence initiative run by the Directorate General Resettlement (DGR) - which partially sponsors courses for ex-services personnel at various management institutes. Karath underwent the six-month MBA certificate course at the Indian Institute of Management, Ahmedabad, which has landed her a job with global financial services giant, Goldman Sachs. Women SSC officers have a 10-year tenure - it used to be five when Karath was serving - extendable by another four years, after which they must compulsorily retire. "For SSC officers, there's no clarity about the position or role one will have after five years," she says, explaining her reasons for retiring early. She is deeply appreciative of the course she took. "It taught me finance, marketing, operations and so many other things a services person does not know." Like Karath, an increasing number of people from the Indian Army, Navy and Air Force are opting for premature retirement to go back to school - B-school - and carve out a second career for themselves. These even include officers with permanent commissions, especially those who have completed 20 years of service and are thus eligible for pension. DGR data shows that almost 60,000 personnel of the 1.3 million-strong military retire every year, a large number of them between the ages of 32 and 46. (Figures for the number of officers who do so are not separately available.) Far from being alarmed by such attrition, the services claim to encourage it. "They retire in the national interest, which is to keep the army young," says Major General Amrik Singh, Director General, DGR. "The army is very different from the police, civil services or other civilian jobs, where people retire at 58 or 60." 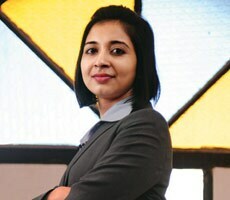 These especially designed management courses - for which civilians are not eligible - began in the late 1990s, and are now being run at a host of top B-schools: IIM Ahmedabad, IIM Lucknow, XLRI Jamshedpur, Management Development Institute (MDI) Gurgaon, and Institute of Management Technology (IMT), Ghaziabad, among others. Currently, there are around 1,000 ex-service personnel attending them. They are entitled to hostel accommodation too, just as regular students are. The tuition fee is around Rs 2 lakh, of which the DGR pays 60 per cent. "It was 380 hours of classroom teaching," says Commander K.P. Sanjeev Kumar (Retd), 44, who was a helicopter pilot with the Indian Navy for 23 years, before retiring to pursue a certificate course at IIM Ahmedabad. He now works for a global helicopter services company. "Our placement team attracted top recruiters such as TCS, Goldman Sachs, Amazon, and Infosys." There is also the Army Institute of Management (AIM), Kolkata, which runs a full-time, two-year MBA programme with a batch size of 120, where 80 per cent of seats are reserved for wards of Army personnel. "Direct interactions with the industry and the goodwill of the institute have enabled us to have 100 per cent placement for the last two years," says Major General (Dr) S.C. Jain, (Retd), Director, AIM, Kolkata. Indeed placement is what ultimately matters. SSC officers are better placed in this regard as they have age on their side. "The younger ones get placed first, the seniors have a little difficulty," says Daisy Chauhan, Associate Professor and Chairperson, Organisational Behaviour at MDI, who has been associated with the AFP course at MDI for many years. But that is also because the seniors are paid more. "SSC officers trying for corporate jobs are usually in the age bracket of 27 to 33 years, whose starting annual compensation package would be between Rs 12 lakh and Rs 17 lakh annually," says Sanjeev Kumar. "The seniors, who are in the 40 to 45 age group, get between Rs 18 lakh and Rs 30 lakh." Two per cent of service personnel in his batch even chose the entrepreneurial path. Some sectors where sizeable numbers of ex-service personnel are found are logistics, human resources and operations. "Their employers are mostly companies dealing in services and security," says Udit Mittal, Managing Director, Unison International, a Gurgaon-based executive search firm. "They include hospitals, hotels and companies in the supply chain and logistics business. Ex-servicemen are good at administrative roles, and can get work done systematically and with authority." Outdoor corporate training is yet another department where they are in demand. "There has been an increase in investment in outbound training programmes by corporate houses, and ex-defence personnel have plenty of outdoor experience," says Kamal Karanth, Managing Director, India and Malaysia at global recruitment agency Kelly Services. "Hence, they are the preferred hires." What helps placements most, however, is the reputation for discipline, punctuality, and capacity to withstand hardships the military in India enjoys. "Our experiences with ex-defence personnel have been largely positive as they bring a certain rigour to their jobs," says Prince Augustin, Executive Vice President - Group Human Capital and Leadership Development, Mahindra & Mahindra Ltd. "We have noticed that those who have been to staff college or commanded a unit tend to score as far as attitude, adaptability and performance are concerned." Some, however, believe industry is not yet sufficiently open to these late entrants. "I feel AFP candidates should be given more prominence in the recruitment plans of big business houses," says Sanjeev Kumar. "It is a lost opportunity for them otherwise. Each one of my batch mates has led units of more than 100 men through the challenges of military life. Their energy, vigour and enterprise often astound younger candidates from regular courses." Major General Singh says that within the next three months the DGR will start a dedicated job portal for ex-servicemen. The DGR has also signed a memorandum of understanding with industry group Confederation of Indian Industry to push the ex-services personnel's case before the corporate world. "Defence Minister Arun Jaitley at the recently concluded management conclave in Jaipur stressed that corporate houses hiring skilled ex-defence personnel would get the best of both worlds," he adds.